SoSlim.me: DermaWand. Having Beautiful Looking Skin While You Age. DermaWand. Having Beautiful Looking Skin While You Age. As women treating and taking care of our skin is key in maintaining our beauty longer. For me, maintaining my beauty is important and I try to preserve this by doing the most natural things including going to the gym, eating healthy, and trying to keep relaxed during stressful life situation . For those who personally know me you would know I suffer from hyperpigmented skin for years and I have always been searching for something to help me treat my acne instead of spending on acne pills that have negative effect on the body and face products that does not absorb in the skin properly. Not to mention during the winter months when the weather is really harsh on the skin contributing tremendously to the skin aging faster causing under eye fine lines, wrinkles, dark circles, puffy eyes, acne, and uneven, dry itchy dull skin. Today, I would like to introduce to my audience one of the best priced equipments known on the market for targeting all these issues I encounter and more "The DermaWand" this equipment give you some of the best result I've seen in my skin. 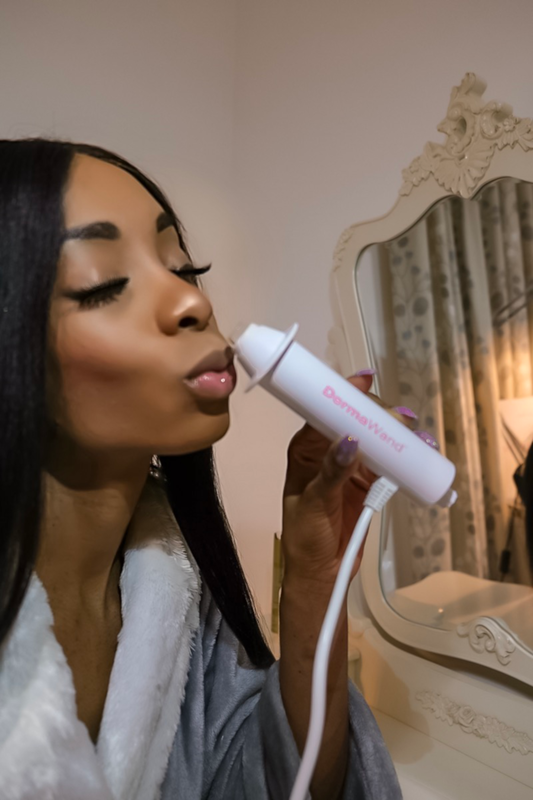 Since I've started using DermaWand it has helped me in targeting these issues including visibly reducing my under eye fines lines, dark circles. It has also helped in minimizing my pores and uneven texture ensuring a smooth finish to my makeup and a brighter healthy complexion. 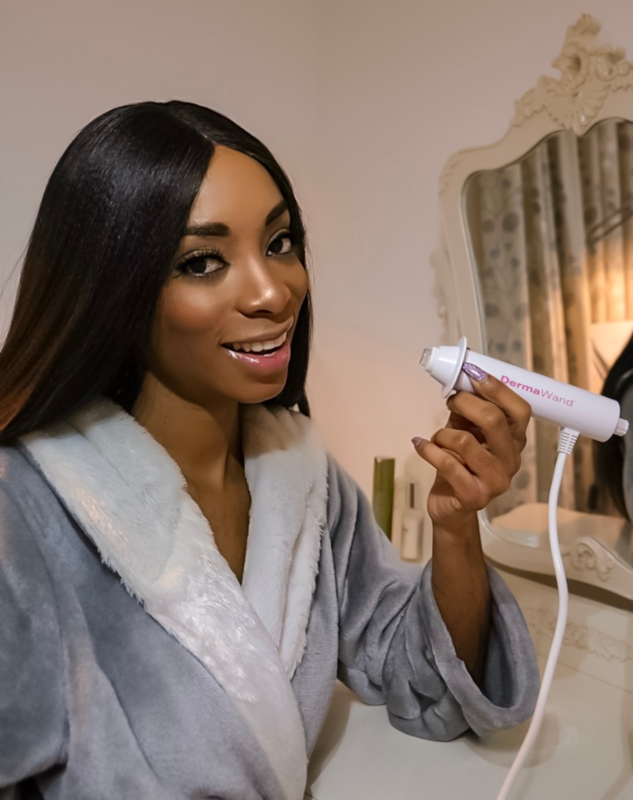 The product have also proven to help reduce my acne scars and recurrence of acne and for those who are more worried about wrinkles all over the face and neck the DermaWand is perfect for tightening saggy skin, and wrinkles all over the face, neck and back of hands. Thank you Dermawand for creating this amazing product that helps to make my skin more beautiful while I age. What comes with your order?